The undulating outline of venation vividly interprets the dreamy and fairy style of fantasy world. 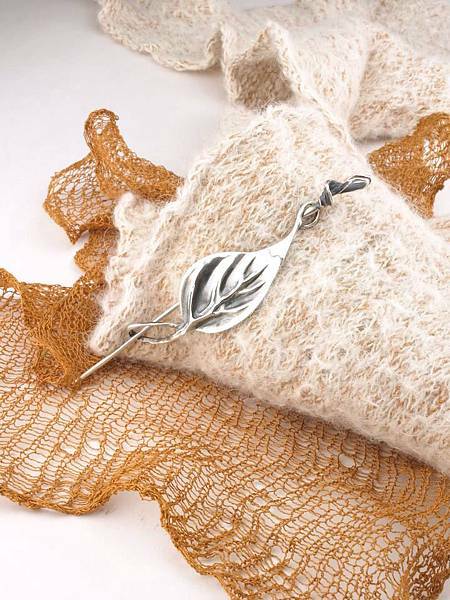 The needle-point is specially made round for knitwear, so that no hooking will happen to your precious shawl. The black part is where treated with oxidation specially to make the vein motif more popping and outlined.